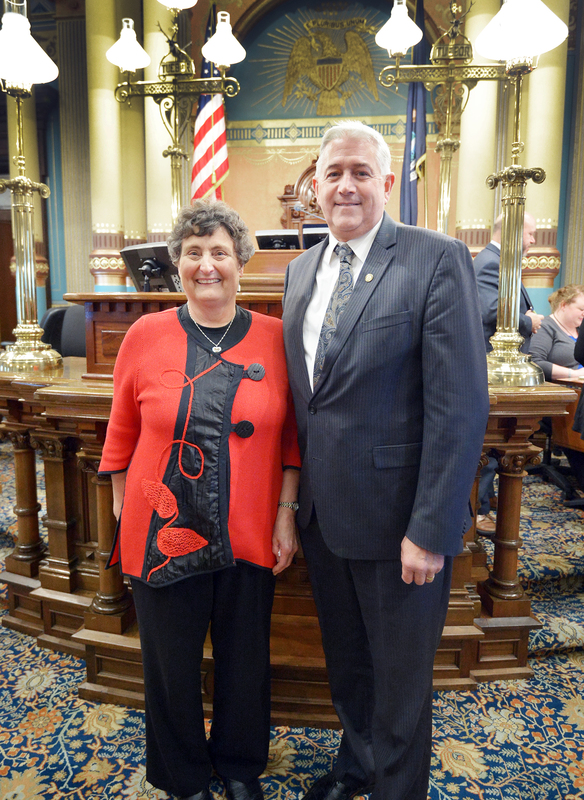 LANSING, Mich. — State Sen. Ken Horn, R-Frankenmuth, welcomed Ruth Ann Reinert to the Capitol Tuesday to celebrate her 50 years of service to the Saginaw community. Reinert has served five decades in the Saginaw library system. Reinert currently serves as the head of Circulation Acquisition and Technological Services at Hoyt Library and was joined by friends and co-workers as her service was honored during Tuesday’s session.